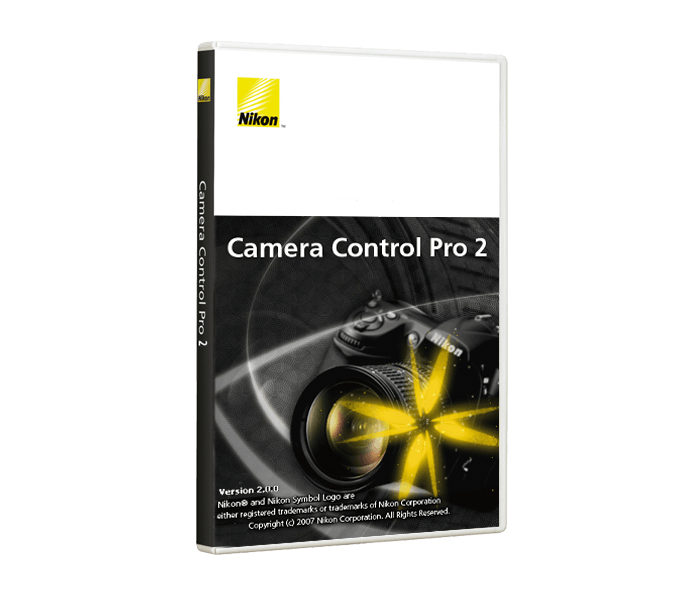 Camera Control Pro 2 software enables remote control of the settings on most Nikon cameras. Connection between the computer and camera may be via USB cable, or through wired or wireless LAN using a wireless transmitter. Advanced camera features are supported including LiveView, Picture Control system and the Viewer, which collectively enable the preview and selection of images prior to transfer to a computer. It also supports workflows from Nikon's exclusive photofinishing and browser software. Remote control of most Nikon digital SLR settings, including exposure mode, shutter speed and aperture, from a computer. Operation by wired and wireless LAN when using a wireless transmitter. Direct transfer of images from a camera to a computer and workflow management of all procedures from shooting to saving images. Enhanced Viewer function enables thumbnail display of images stored on a computer. Images on a camera buffer can be confirmed or deleted with thumbnail or preview display on a computer prior to transfer. Supports LiveView modes (Hand-held and Tripod) where the camera sensor is used to provide a real-time preview through the objective lens. LiveView support enables simultaneous adjustment of focus point and/or shutter release, and confirmation of the image on a computer screen. In Tripod mode, remote selection of the desired autofocus point is possible. Supports the Picture Control system which allows image parameters to be selected and adjusted on a computer, and custom curves (tone compensation data) to be created and saved back to the camera.